Join the Artisans of Silent Pool for four and a half hours of delicious cheese, wine and gin tasting you’ll never forget. Starting at our boutique family-owned vineyard, you’ll receive a warm welcome and an introduction to the English wine scene. 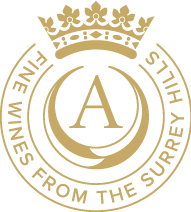 You’ll learn about what goes into wine production and how our hard work has made us the ‘must-have’ wine in many of England’s most luxurious restaurants and hotels. With your taste buds whetted, you’ll sample some of our delightful flagship wines including the world-renowned Silent Pool Rosé, served on the Royal Barge during the Queen’s Diamond Jubilee. You’ll also have the opportunity to taste the vineyard’s limited release wines and spirits which we open exclusively for our Artisan Tasting Day – making you part of a truly select group of secret tasters. If you’re a connoisseur of exquisite taste, you’ll love our Artisan Tasting Day. Only a handful of dates between May and September are available for this exclusive experience.